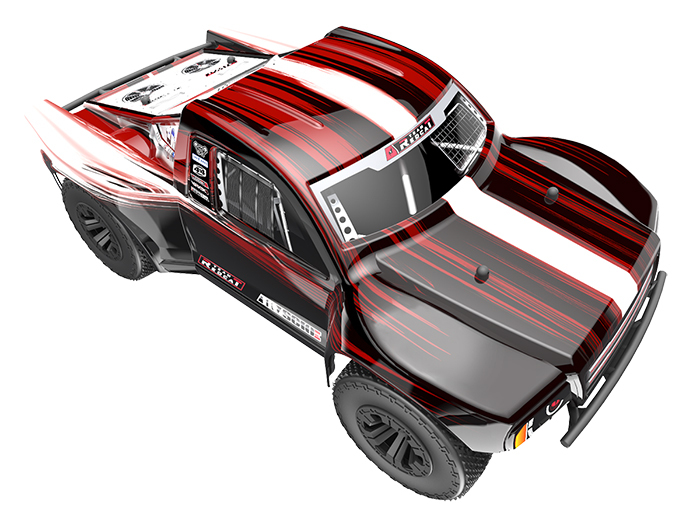 Team Redcat Announces the Release of the TR-SC10E, 1:10 scale 4wd short course truck. 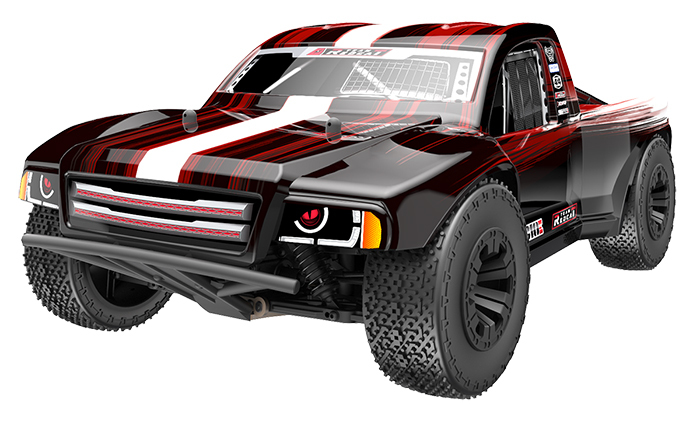 Phoenix, Arizona, January 8, 2018 – Redcat Racing, the premier source for quality Gas, Nitro and Electric powered RC vehicles, announces the release of the Team Redcat TR-SC10E. 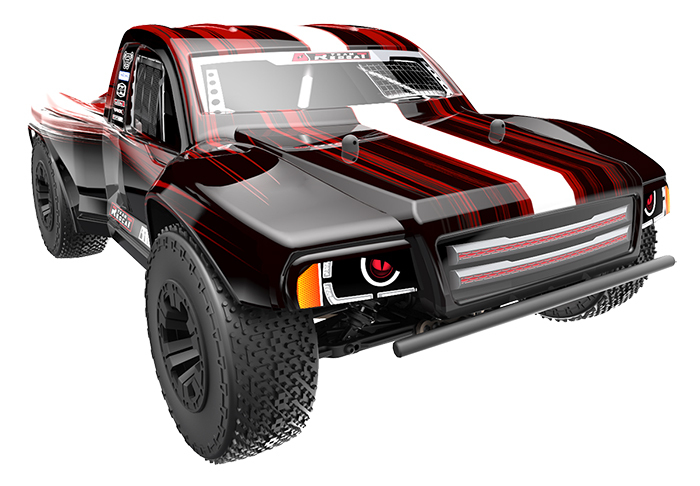 The TR-SC10E is a high end hobby grade RC 4wd short course truck. 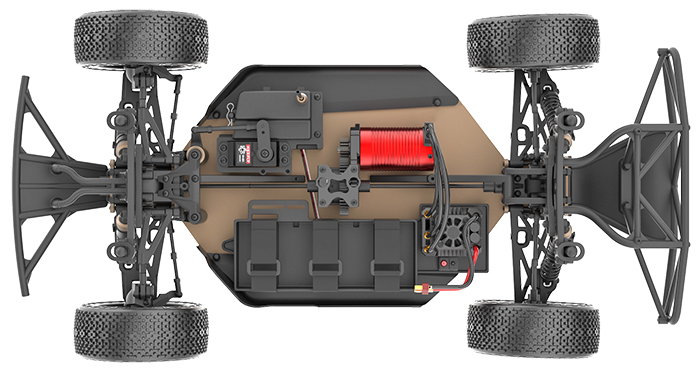 This 1:10 scale short course truck is loaded with features like precision machined aluminum parts, hex hardware, quality electronics, and professional assembly. The TR-SC10E is sure to be a hit with both bashers and racers alike. The vacuum molded polycarbonate body is attractive and covers each tire with its wide fenders, allowing for scale-like short course truck racing. 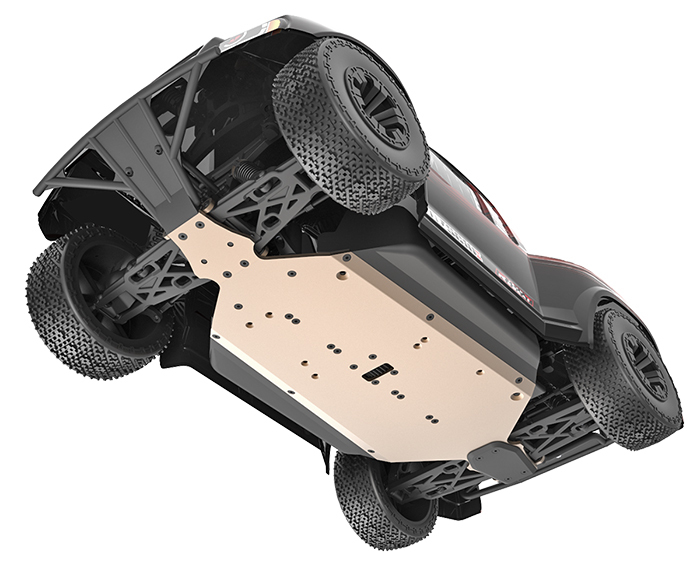 When considering the realistic bumpers and chassis guards, races are sure to be exciting with lots of bumping and grinding against competitors trucks. Drivers can aggressively push their way through the competition, maybe even bumping them out of the way. As the saying goes, rubbing is racing. The TR-SC10E is fitted with scale short course tires, which offer a great balance of traction and wear. Three tuneable differentials and four oil-filled coil-over shocks ensure a smooth and stable ride. 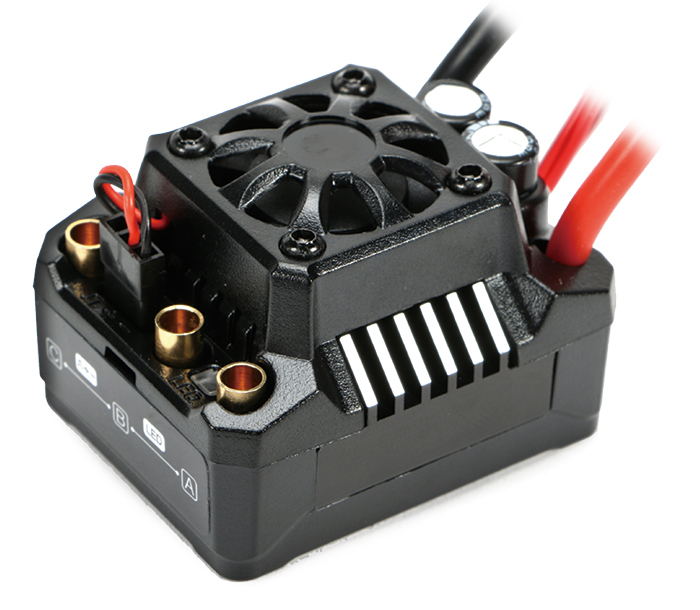 The TR-SC10E is fitted with HEXFLY electronics, including a heavy duty waterproof steering servo and a waterproof 80A 2S-3S ESC. Redcat’s new 2.4GHz radio system provides a crisp & reliable signal for precision control. The TR-SC10E is a fully assembled Ready-To-Run vehicle and the user must supply 4-AA batteries, a 2S or 3S LIPO battery, and LIPO charger. The powerful 4300KV brushless motor offers tons of power and its 4-pole design ensures smooth acceleration and control. The machined aluminum, adjustable motor mount holds the motor in place through strenuous bashing and race sessions. 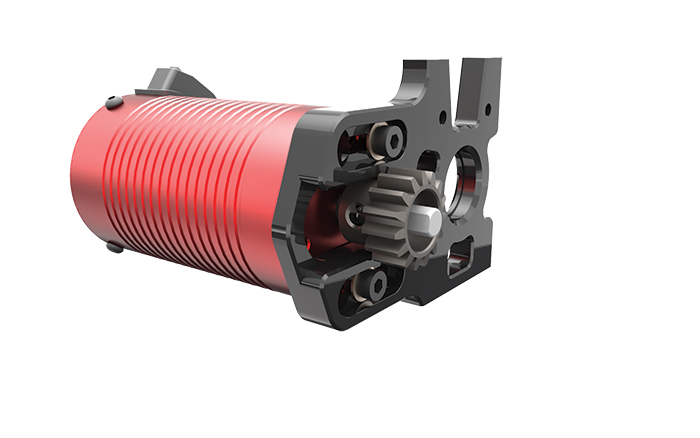 Hardened steel drive shafts provide precision power transfer with less flex than regular grade driveshafts. The fully adjustable suspension allows the driver to tune the TRSC10E for any track condition and driving style. Also Requires 4-AA Batteries for the Transmitter. Team Redcat (www.teamredcat.com) is a new high-end brand of premium vehicles offered by Redcat. All Team Redcat vehicles will be manufactured in Taiwan and focus on delivering the highest level of quality, durability, and performance. 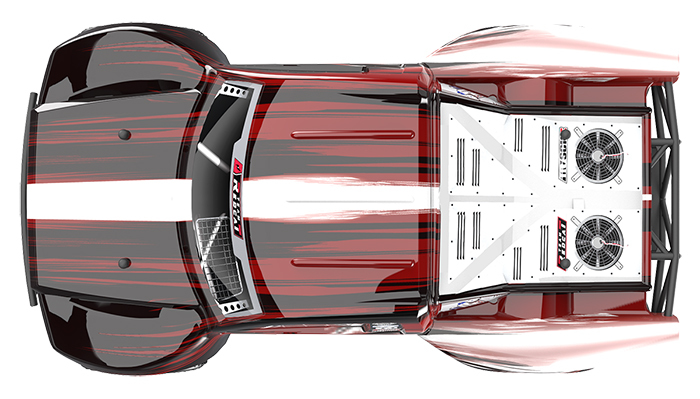 Team Redcat will primarily focus on developing and delivering higher-performance vehicles for more experienced users. Team Redcat will still offer the same high level customer service, top level parts support and aggressive pricing customer have come to expect from Redcat Racing. Visit www.teamredcat.com for more information and to find a dealer near you. Vintage Kyosho Wild Ram/Baja Beetle! Proline slide job scmod tires NIP.